In Islamabad, in the heart of the Punjab province, two artists from Karachi have opened up shop in a busy market. 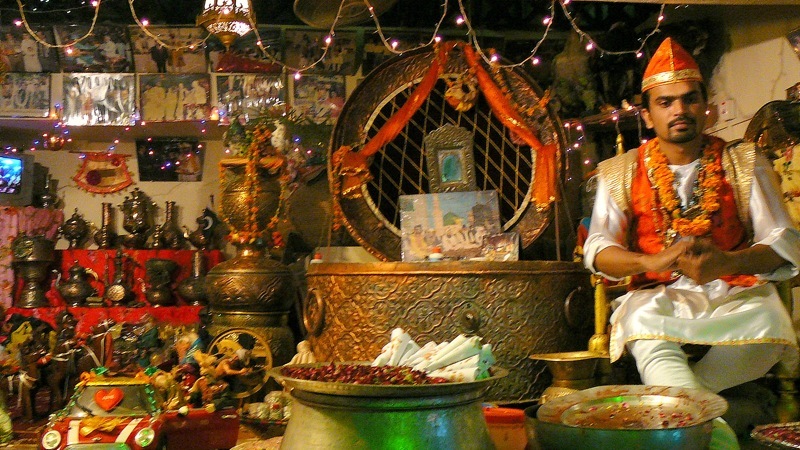 Their art is paan – a dark green betel leaf filled with a spicy-sweet concoction of herbs and spices. To understand how unusually situated this shop is, one must understand that Karachi and Islamabad are on two different ends of the country and speak two different languages. The shopkeepers are obvious black sheep, but are hailed and welcomed in Islamabad because of the rich history and culture of Pakistan’s Urdu-speaking world that they represent. And of course, because they make the best (and slightly addictive) paan for hundreds of miles. The shop itself is piece of art, never mind the skill it takes to create the perfect blend of spices to fold neatly into the paan leaf. Its presence is inescapably inviting. Smells of saffron and rose water emanate from the glowing shop, which is filled with with Mughal-style pitchers and paintings, flowers, and vibrant, rich colors. One almost expects King Shah Jehan to walk around the corner with his entourage and order a piece of paan. The man pictured here is the apprentice paan maker. 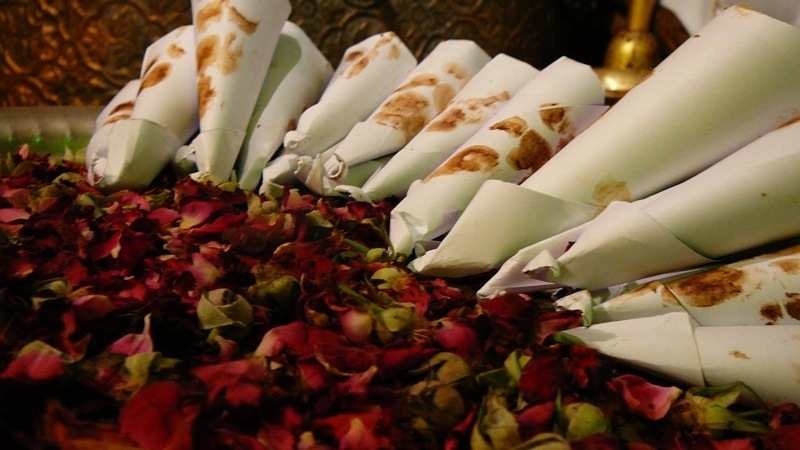 His job is to hand the customers packets of sweet or savory paan wrapped in cones of white and then wish them good day with showers of rose petals as they walk away. He’s dressed in a particular version of traditional men’s clothing that now is usually limited to the regions around Karachi but is reminiscent of the traditional court dress of Mughal kings and princes. I love paan – but alas, I live in San Francisco. 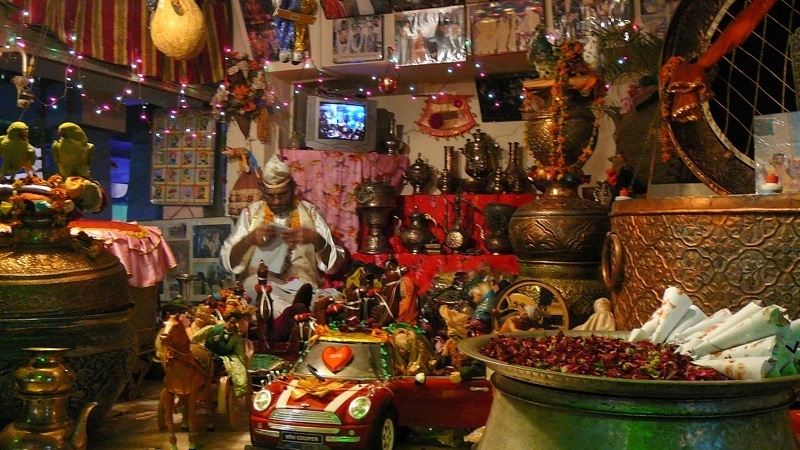 I might be in Islamabad later this year…I must know – where is this shop? This shop is in Melody Market in Islamabad (sector G 6 Markaz), close to Aapbara Market. Melody Market has a large Holiday Inn next to it and anyone will know where the Melody Market Holiday Inn is. The paan shop is a little shack in the middle of the market where all the “Food Street” sitting areas are. While you’re there, make sure to visit the Bengoli Jalaibi shop and get some fresh jalaibi – it’ll be in one of the alleys that lead to the middle of the market.